It still sounds both cool and surreal to say this: Monday morning I was on T.V.! 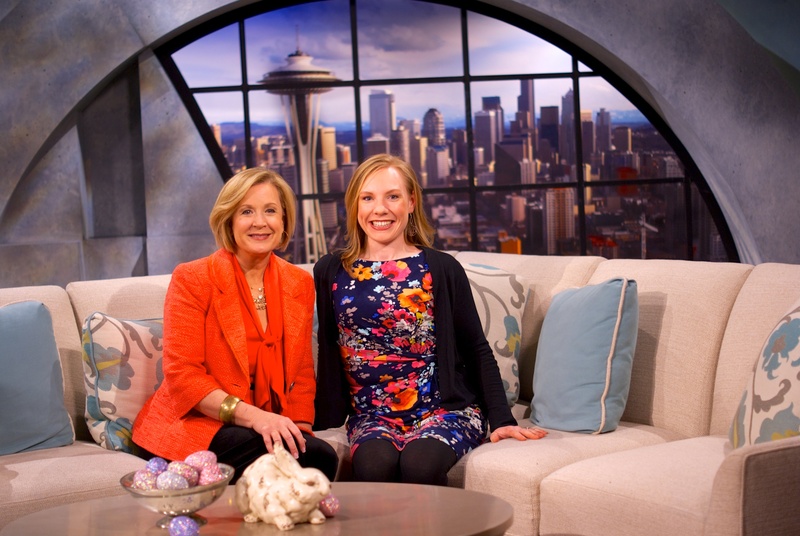 I was invited to appear on Seattle’s daytime talk show New Day Northwest to share my weight loss story and several lightened dishes for Easter. It was a fantastic experience. Everyone at the show and the station as a whole were warm and inviting. 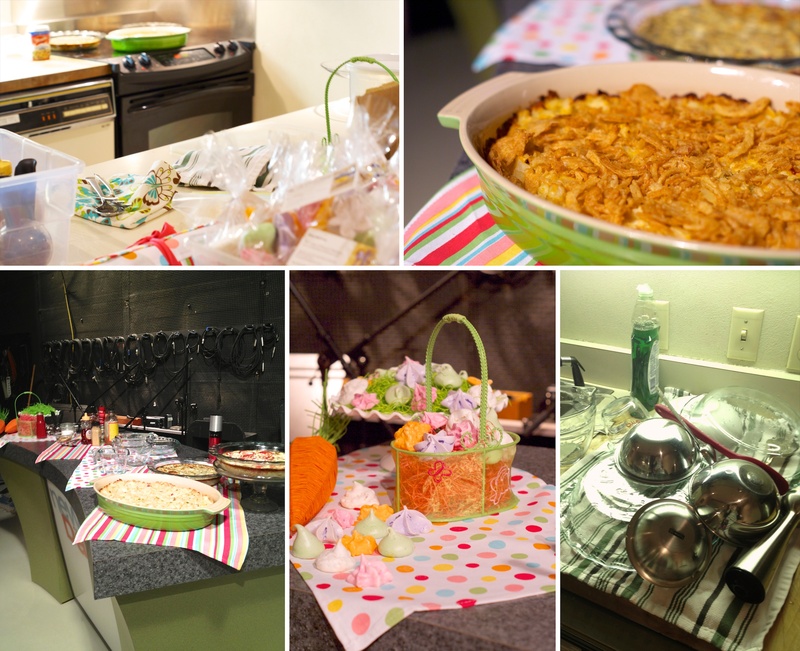 I spent the hour before the show finalizing the food and staging everything for the segment. While I worked I had visits from many of the people involved in the show. Several shared their own health improvement stories with me. I really love hearing how other people have made changes in their lives, every journey is different. The host, Margaret Larson, was so easy to work with. Her calm presence and interest in what we were making soothed the last of my jitters. Right before the segment began someone told me to act like we were two girlfriends cooking in the kitchen. I may have taken the suggestion too literally, what can I say – I’m excited to talk about health improvement and yummy food! As soon as we got chatting I didn’t think about the cameras but focused on answering her questions and sharing the foods we were preparing. After the segment I was able to talk to the audience for a few minutes. They asked some great questions. I was extremely flattered when one audience member asked if I have a book. Another audience member asked if there were any foods I used to eat and don’t anymore but miss eating. I LOVE THIS QUESTION – because I love the answer. No. If there is something that sounds good to me I will eat it though it may be a small portion. There are also many things that no longer appeal to me at all so I don’t spend any time pining for forbidden foods. This goes the same for Mr. Second Helpings. Mr. Second Helpings couldn’t be at the show but he did come up several times during the segment. I was very proud to be able to talk about his success and recent accolades. His story is totally inspiring and I am so glad the audience got to hear about our journey as a couple and individuals. The only mishaps of the day came after the show. The headlights were left on while we were in the studio and my car needed a jump. While I was figuring out what to do about the car, The Little Helping darted out of sight. I had a moment of intense panic when I realized he could have run into the studio where the news broadcast was underway. I had a vision of his blonde head popping up from under the news desk and prepared myself for complete and utter mortification. Seconds later he popped out from the other direction. Thank you God! He also managed to find an forgotten container of sugar and spill it all over the prep kitchen floor. I found a broom, swept the floor, and got the heck out of there! Seriously though, it was a wonderful experience. If they will have me back I would love to work with the New Day Northwest crew again. They all seem to really enjoy their jobs and have a great time doing what they do. It was a blessing to spend time in their space. The gal who cuts my hair told me she saw you. 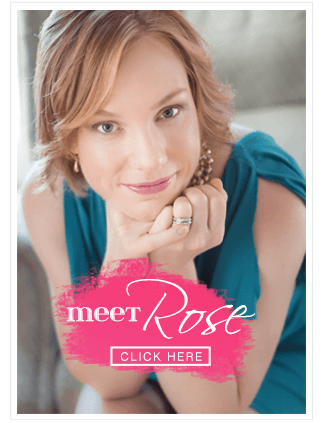 She had the TV on while she was cleaning her apartment and heard the name “McAvoy” so stopped to see what it was about, and when she heard the theme of your segment she said “I know her – sort of!” Obviously I chat about my kids while getting my hair cut!